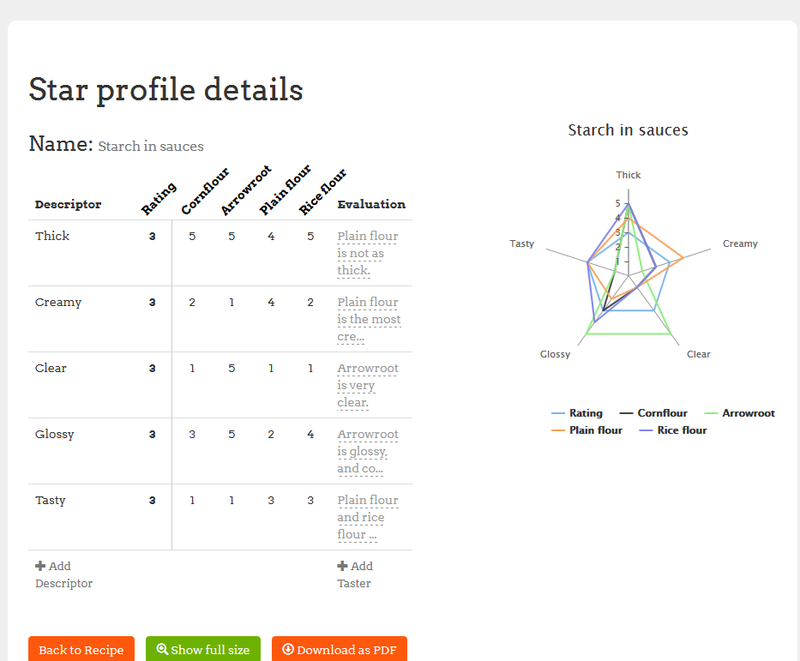 Think what ingredients are used to thicken sauces and soups and which starch is best for recipes. Starchy ingredients thicken sauces when they are heated in liquid. 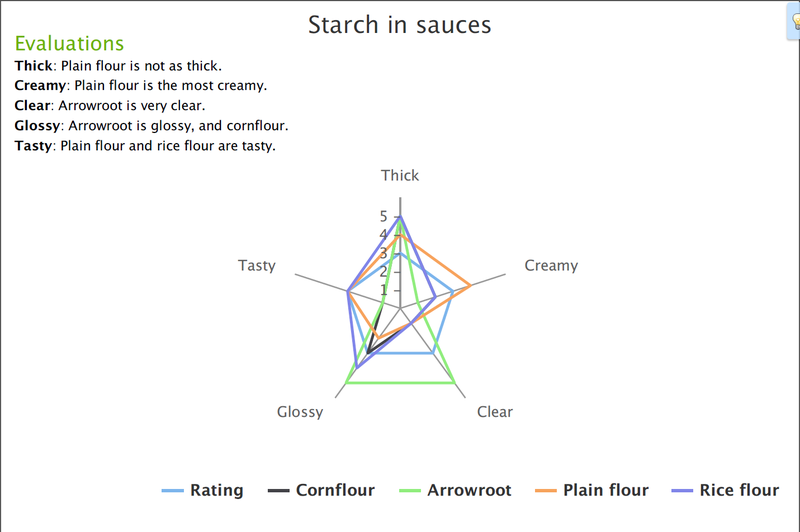 Rice starch, cornflour, plain flour, arrowroot, potato flour … you choose. Create a FAIR TEST. 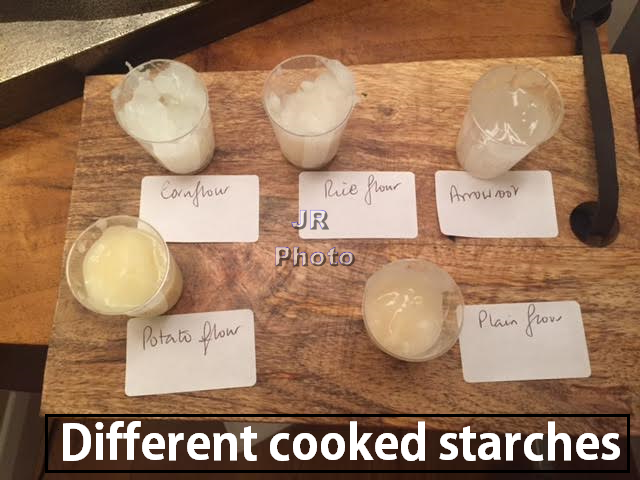 Mix the same amount of starch (10g) with the same amount of water (100ml). Heat each one in the microwave and look every 20 seconds, stir and remove when it is thick. Taste and test each one. 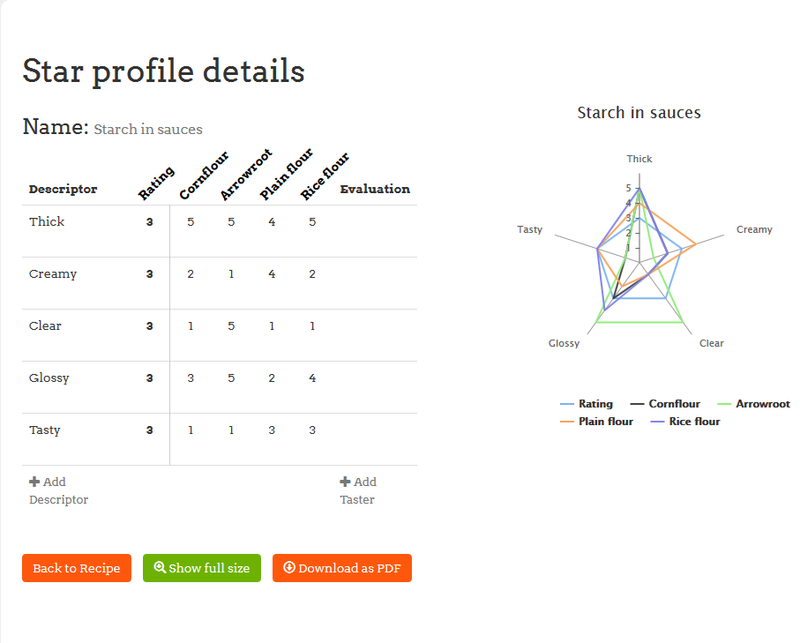 These are the final results of the starch test presented using The Nutrition Program. The basics – means I’ve stripped things back to essential information – a quick way to learn! Available on Ridgwell Press website. Show your students gelatinisation with our instant, cold water swelling starch. Mix it with juices such as cranberry, orange and apple juice and watch it thicken. The starch is used by the food industry and has been precooked so that it gelatinises instantly when mixed into liquid. The food industry uses it to thicken tomato juice to make passata, and apple juice to make apple sauce. 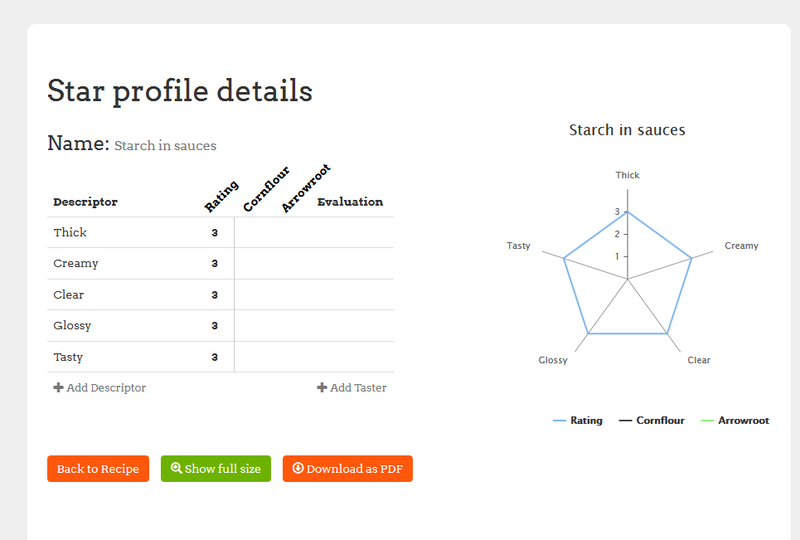 The starch also adds pulpiness and improves mouthfeel. 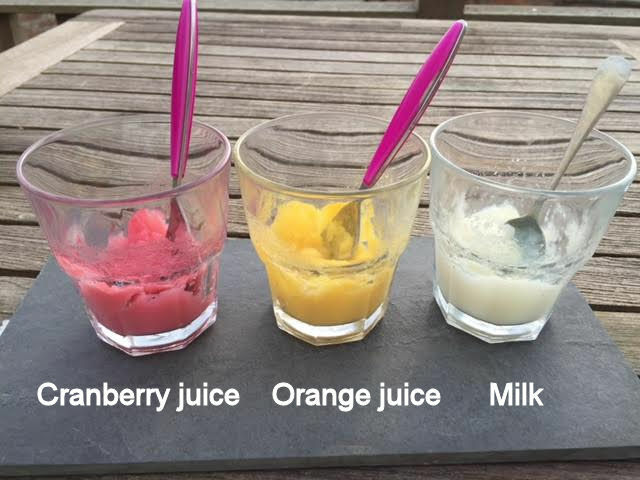 You can invent thickened fruit juices, mix it with mix or yogurt and see how it gelatinises instantly when mixed with a liquid of your choice. In the food industry this saves heating and mixing to make sauces, and so saves costs. Please note – the sample is labelled ‘don’t eat’. This is because it was packed in a kitchen but not in a food regulated place. As a non edible sample, it does not have to comply with food labelling regulations which specify best before date, detailed labelling and ingredients list but the large pack will be packed so that it can be tasted and provide all this information. The sample is packed in food safe polythene.